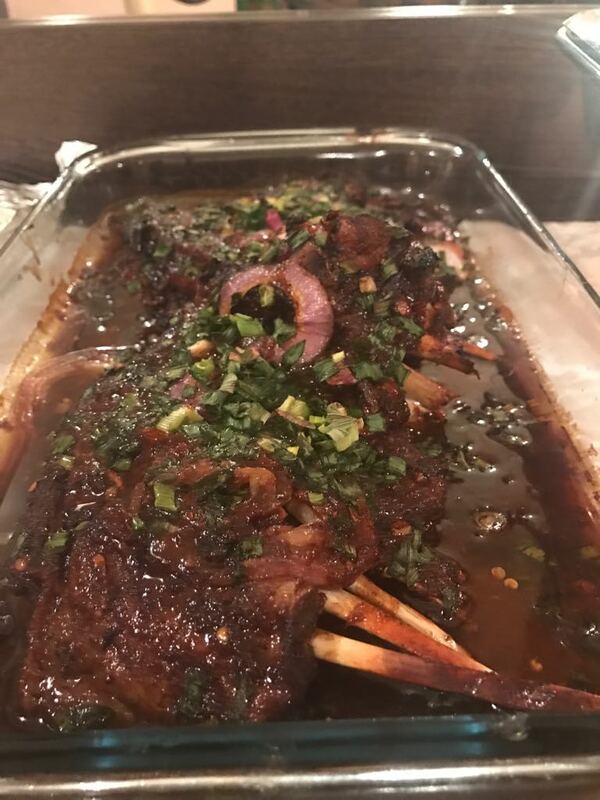 I'm not sure if lamb is a thing in Nigeria. In the market you're more likely to find ram, and even in supermarkets the lamb you get is suspiciously tough. Nigerians like hard meat, so I don't think they are about that baby animals life. 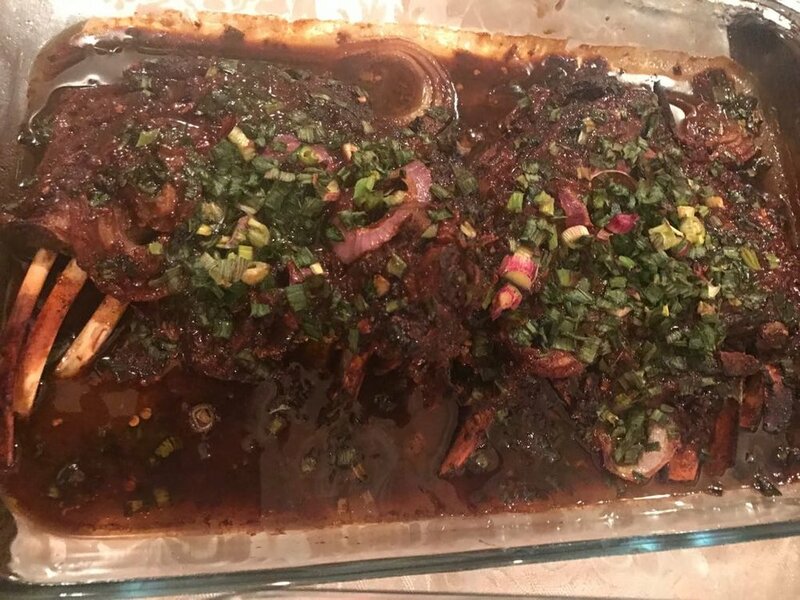 So I used ram ribs in this recipe. Ram is a lot tougher than lamb. Nigerian meat is probably so hard because these animals do not rest. I always see cows walking on the streets in the hot sun. They probably travelled all the way from Adamawa or Chad or something. Lol jk. (But not really) No Fulani herdsman is about to take time out of his day to massage and give any cow TLC, so no kobe or wagyu beef for us. Also the animals are always so skinny, again probably because of all that trekking. Anyway, unless you want to be fighting with the meat I would advise using a pressure cooker to soften it first. But if you live somewhere where tender lamb is easy to get then you can skip that step. Also, if you're like Zeebaybz and you don't like sweet-savoury food don't add the honey. Also I haven't put measurements because some people like their ribs sweeter, while some like 'em spicier. Plus I don't measure when I cook soz. 2. Place the ribs in a pressure cooker and pour in the marinade above. 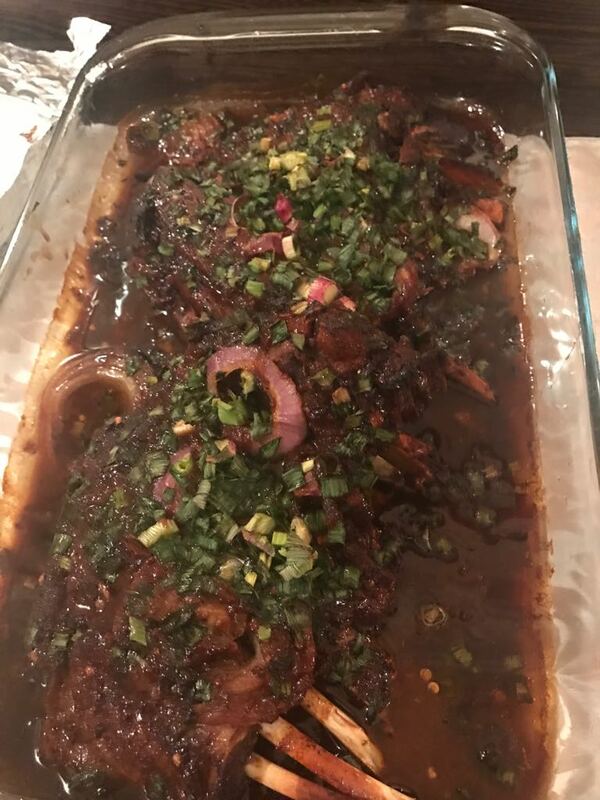 The marinade should just cover the ribs, if not add a bit more water. 4. Take the ribs out of the pressure cooker and put in an ovenproof dish. Don't take out all the bones if you like your meat on the bone. 7. Place in oven for 30 minutes. Et voilà super tender, tasty ribs.